Cookies were a staple at our house just as much as bread and butter. I began dabbling in the kitchen with my older sister who, like me, enjoys cooking and baking. There were times Mom would let me help too. To me, cookies are a basic food group (although I try not to eat as many cookies as I do fruits and veggies). They’re a finger food so they’re portable. And there are a gazillion ways to make them. How could one NOT like cookies? A few years ago I learned a lesson in sharing from someone I thought was an unlikely person to learn the lesson from. The lesson came from my desire to share my cookies. I made a batch of my ‘famous’ Chocolate Chip Oatmeal Cookies and took them with me on Sunday to share with the rest of our choral worship team. It happened that day just like every other time I’d shared my cookies: people wanted the recipe. I thought that had put the question to rest. No one began begging for it, after all. Then our worship leader spoke. Of course I remembered her. She was one of the sweetest women I’d met since I began attending that church. I was so sad when she passed away. She had signature hugs and a smile that lit up the sanctuary. I think he said a couple more things, but by then I’d taken the hint. Every good and perfect gift is from above. (James 1:17) Even cookies. The next Sunday I brought copies of the recipe in case there were still some who wanted it. That sure felt better than hoarding my ‘secret’ out of pride. Over the years, because of that Holy Spirit leading, I’ve shared other recipes and kitchen tips too. 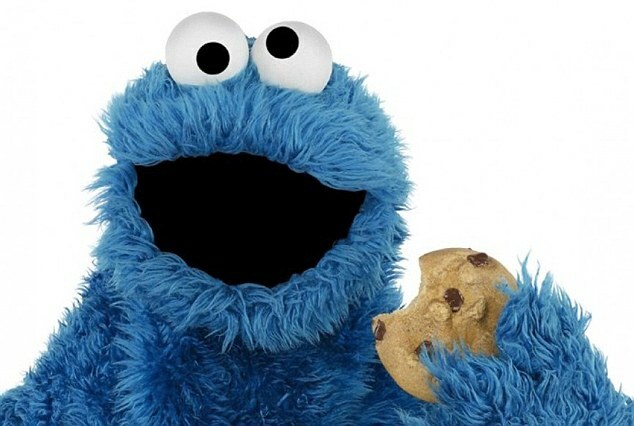 I certainly don’t want to give the name Cookie Monster a new meaning. So I’m sharing the recipe here for you as well. In a large mixing bowl, cream together brown sugar and oil/shortening. Add eggs, vanilla, and milk and blend together thoroughly. In a small mixing bowl, blend together flour, salt, soda, cinnamon and rolled oats. Add dry mixture to the creamed mixture in the large bowl. Stir well. Add wheat germ and blend again. When adding chocolate morsels, begin with only half of package. Stir and add more if you need too. Sometimes a whole package is too many. Drop by teaspoonfuls onto prepared baking sheets. Bake at 350 for 12-15 minutes. Remember that ovens vary. Keep an eye on the cookies through the door. They should only become lightly browned on top. Baking too long makes for a crisp rather than chewy cookie.